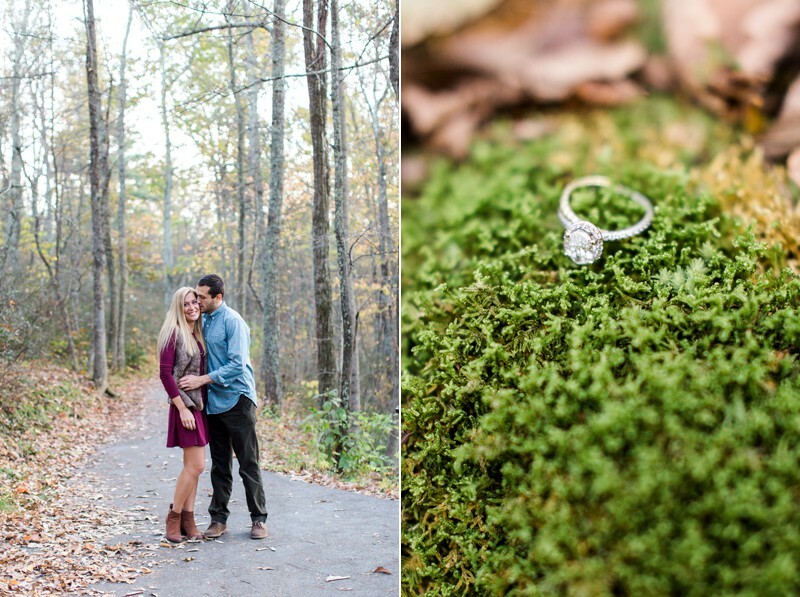 This fall has been unseasonably warm, and I for one am okay with prolonging the blistery cold Virginia weather! The air has only just turned chilly and my fall jackets aren't going to be heavy enough in a matter of days. 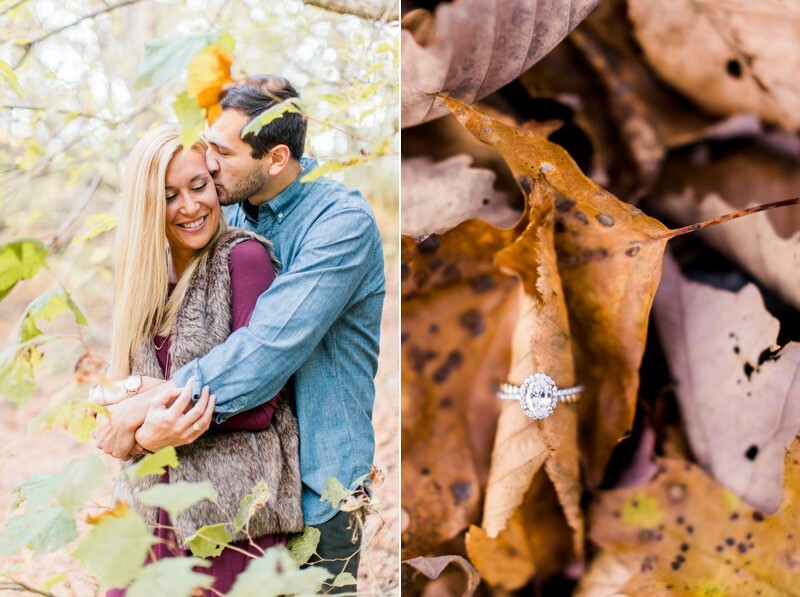 So to keep the warm and positive feelings for colder weather alive, I'm sharing a beautiful engagement session taken in the peak of autumn! Caroline was returning from a trip to Spain when Dan met her in the airport on bended knee. These two are are adventurous, kind, and they love to be in each others company. We spent some time together hanging out on cliffs and hiking into the sunset--all while Caroline wore a tulle skirt and heels. 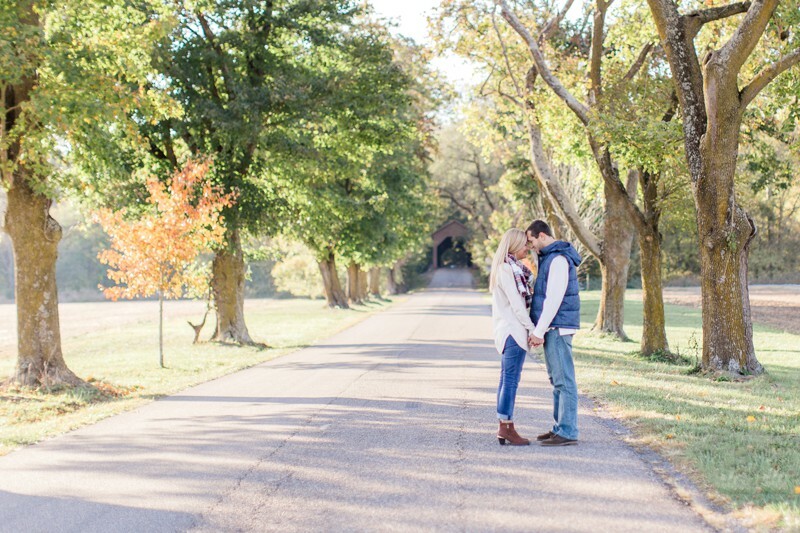 Throughout our session, Caroline and Dan proved to be such sweethearts, melting into each other in the right moments and beaming with laughter during others. I'm quickly learning that these two will never let a moment pass unappreciated, and I know their wedding day will be full of meaningful touches. 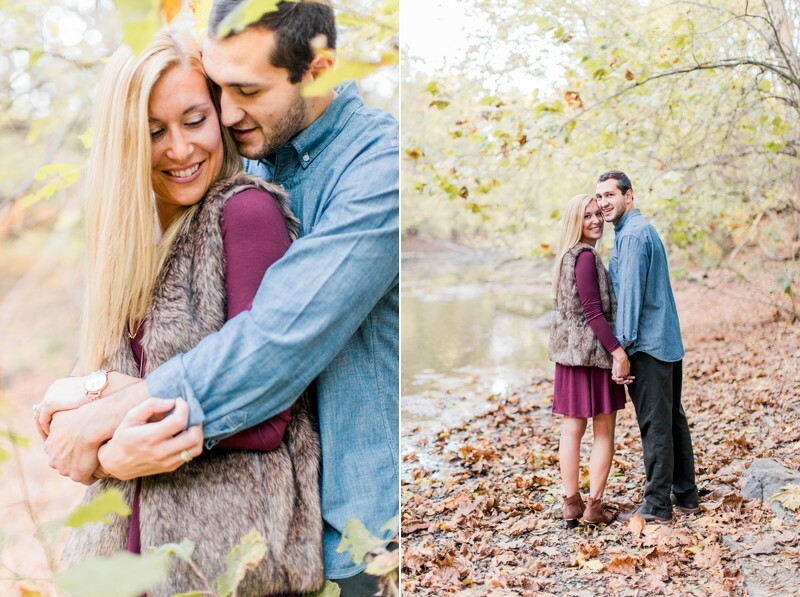 I am so excited for their summer vineyard wedding next year! 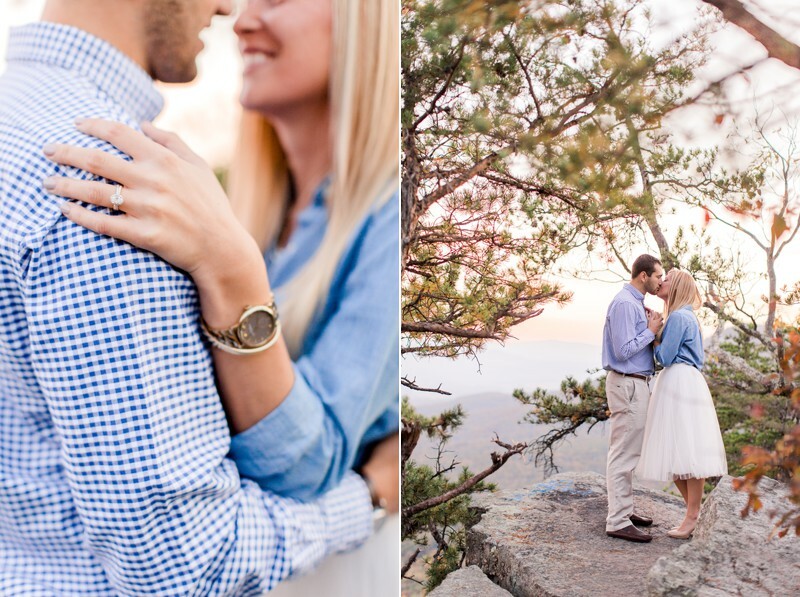 Until then, I'm sure that you're going to fall in love with this couple through the images below. So grab some cider, a chunky blanket, and curl up on the couch to these cozy portraits.